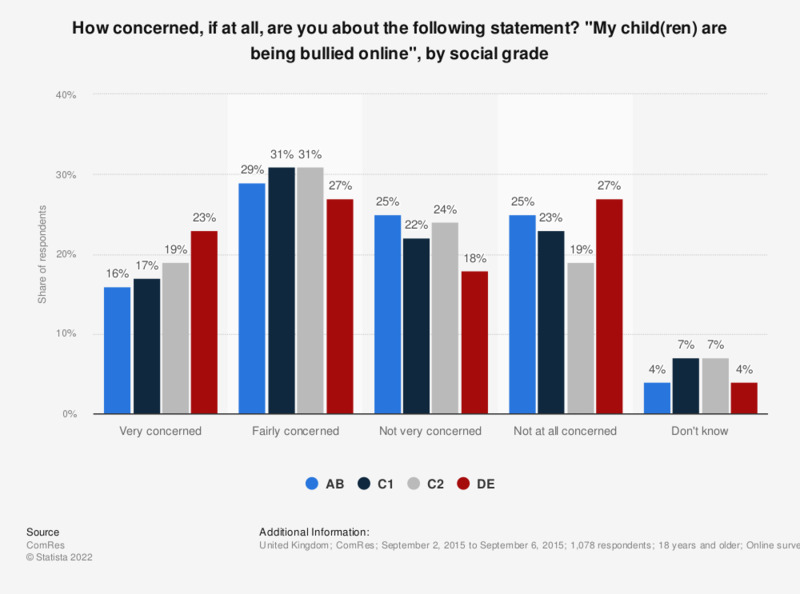 This online survey of parents in the United Kingdom (UK) by social grade shows the extent to which respondents were concerned by the following statement: "My child(ren) are being bullied online". Respondents from social grades C2 and D1 were equally likely to be very or fairly concerned (51 percent), while of respondents from the AB social class, 45 percent were very or fairly concerned. How concerned, if at all, are you about each of the following? "My child(ren) bullying others online"
How concerned, if at all, are you about each of the following? "My child(ren) being bullied online"